Jan. 20, 2016, 11:17 a.m. When Joe DeFelice tells people he’s the head of the Republican party in Philadelphia, they often give him some type of quizzical look. Today, registered Democrats in Philadelphia outnumber Republicans on a scale of more than seven to one. It’s been that way for 70 years. With just 111,000 people registered in their party, a Republican has little chance of winning higher office in Philadelphia — a city of more than 1.5 million — anytime soon. This influences how members of the community treat each other, even as young as grade school, and continues through a cycle of general elections involving incumbents who easily win year after year. It can ease the way for corruption. Michael Moroz, left, and the column he penned for his high school newspaper. He called it an expression of his conservative views. Some members of the diverse student population at Central called it racist. Now, Moroz and his family have retained an attorney and are looking at legal action. DeFelice said he reached out to Moroz to tell the student to continue to stick to his convictions. But he says he was still disturbed by the response that came from Philadelphians as young as high school. In 2012, then-16-year-old Samantha Pawlucy, a public school student, was chided for wearing a Mitt Romney campaign T-shirt to school; her teacher compared the gesture wearing a KKK shirt, and asked Pawlucy to take it off. Her family sued the district and settled for an undisclosed amount. Her Center City attorney, Wally Zimalong, said incidents like these represent a larger problem: Philadelphia can be intolerant toward conservative views. And it can start as young as high school. How did Philadelphia get here? Philadelphia’s purse-string-holding City Council is made up of 17 members, 14 of whom are Democrats. One Republican, Brian O’Neill, has held his 10th district spot based in Northeast Philadelphia for 36 years. The other two Republicans were elected as at-large members and have a spot only because the City Charter requires two at-large seats on Council to be held by the minority party. There’s also Al Schmidt, a Republican City Commissioner who basically runs the office because the chair is Anthony Clark, who regularly fails to show up to work. He’s skipped out on voting a number of times, even though it’s his office’s job to run elections in Philly. Now, he’s slated to collect a half a million dollar DROP payment upon retirement. 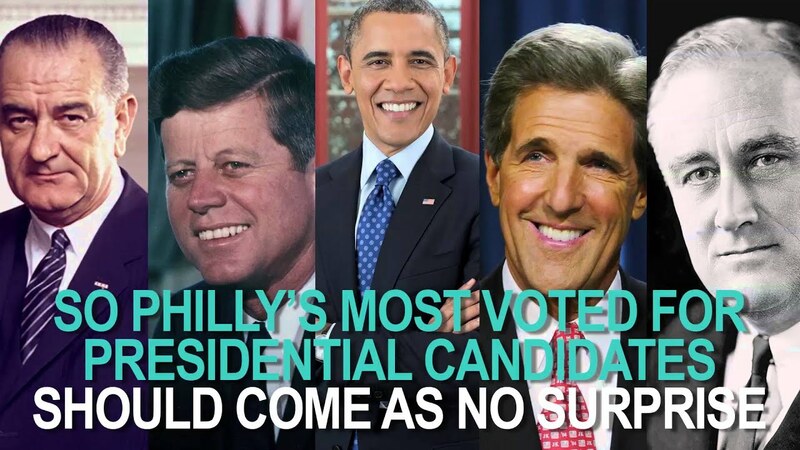 And Clark is routinely endorsed by Democratic party leaders in Philadelphia. On the GOP side, there are also two state representatives: John Taylor, of the Northeast and the Riverwards, and Martina White, who recently took over a seat in Northeast Philly that had been held by a Democrat. And that’s it for the Republicans in Philadelphia. The city hasn’t elected a Republican mayor since Bernard Samuel left office in 1952. Philly Democrats own a huge majority on Council, 22 of 24 state House seats and every state Senate seat. Throughout the middle of the century, corruption permeated nearly every office in City Hall. Voters got sick of it and put four Democrats in row offices by 1949, and then by 1960, Democrats had quickly taken over city politics and voter registration switched in their favor. The registration switch closely correlates with several other changes the city underwent. The rise in registered Democrats came as the city’s minority population decidedly increased. It also reflects organized labor, and its growing political power as members of those unions mobilized to vote for Democrats who promised to protect their jobs. For many rank-and-file union members, even if their values align with Republicans, they register Democrat to vote in the primaries for the candidate who promises to support their union. As if fighting a seven-to-one voter registration gap wasn’t enough of a challenge for Republicans to get their message out in Philadelphia, the party is now the local face of Donald Trump and Ted Cruz. DeFelice is explaining to voters in Philadelphia that the vast majority of Republicans, especially in urban areas, aren’t interested in banning all Muslims from America or pushing rhetoric that leaves out those who aren’t rich, white men. DeFelice said it’s this perception that makes it difficult to get the word out about work the Republican party is doing in Philly that often has nothing to do with divisive social issues and is largely focused on economics and fiscal conservatism. Ryan Sanders, a Regional Field Director and African American Engagement Coordinator for the Republican National Committee, said the party is pushing harder in Philadelphia than it has in the last 40 years, citing representatives on the ground working in neighborhoods this year. In addition, he said, the GOP will be pushing a 2016 slate of candidates in the southeastern part of the state that’s diverse and reflects the make-up of the area that it represents. Sanders, a lifelong Philadelphian who grew up in Logan, pointed to the success the party saw in Northeast Philadelphia last year when White won a seat in the 170th district that had previously been held by a Democrat. How’d she do it? Good ol’ fashioned knocking on doors — something Democrats not used to competition from the other side often can bypass. In the last 15 years, at least 40 Philadelphia politicians have been investigated, charged or convicted of some form of corruption, whether it was former state Sen. Vince Fumo, convicted on 137 counts of corruption in 2009, or nine traffic court judges charged for taking part in a ticket-fixing scheme. The majority of the people in that hall of shame are Democrats. Sure, that makes sense because most Philadelphia politicians at the time were Democrats. But it also begs the question: Does only having one party make it easier for political figures in the city to do shady stuff? Sanders said in one-party cities across the country, a lack of competition in general elections can lead to laziness from long-time politicians who may not feel to pressure to engage with constituents. And look at how Harrisburg views Philly, and vice versa. The capital that’s usually at least partially run by Republicans is now in a GOP majority that hasn’t been seen since Dwight D. Eisenhower was president. But in Philadelphia, most of the state delegation is Democrats, leaving the city with few allies entrenched in Harrisburg who can really make a difference on a policy level simply because they’re not in the majority party. White, for example, has introduced five bills in her last year in office and sponsored 84 bills and resolutions in total. Three made it out of the House. And that’s impressive for a freshman representative who’s been able to push substantive legislation as opposed to other members of the Philadelphia delegation who struggle to pass their big policy ideas because they don’t control the levers of power. Republicans know they can’t turn Philadelphia into a two-party city with serious political competition in a short period of time. A massive paradigm shift in favor of Republicans, especially as the national brand moves farther to the right, simply isn’t likely. Thornburgh, of Committee of Seventy, said the city should look hard at allowing an open primary that makes it easier for Independents to challenge Democrats. He said allowing for Independent competition rather than straight Republican may be a more “realistic” path forward. Jimenez said she hopes the city reviews its campaign finance laws enacted that have lowered the amount that individuals can donate to campaigns. She said the caps benefit Democrats who have a larger pool of donors in the city to choose from as opposed to Republicans who, based on voter registration, have a smaller list of donors they can turn to. She also said individuals should consider backing independent expenditure groups like Philadelphia 3.0 and the 5th Square, two PACs that emerged last year, that have endorsed both Democrat and Republican candidates who care about good governance. But maybe getting this Democrat-controlled city to a place where more political competition exists will take the city getting fed up with current control like it did back in the 1950s when the city booted the Republicans.